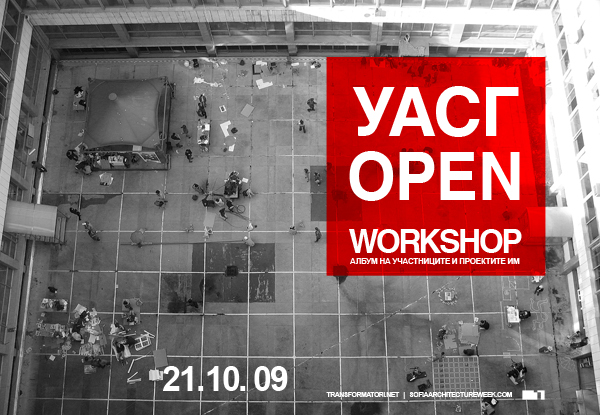 The inner yard of the University of Architecture, Civil Engineering and Geodesy in Sofia has always been unused since the existence of the new building, but it was till now – 21.10.09! The students knocked us dead with the realised ideas and most with the spirit and enthusiasm. They showed that space belongs to them and that it’s not necessary to wait someone from the top to make the change. Workshop “UASG OPEN” came out to be an action that grew into a celebration and we hope that it becomes a tradition for the students. We present to you the album from the event and THANK YOU for the show!